Ex. Archbishop Sharp Collection, Morton and Eden, 7-8 December 2017 (192). 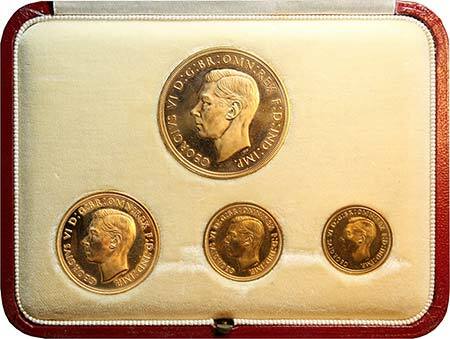 Small denominational gold coins of this reign are often in poor or damaged condition and are seldom seen for sale. Ex. George Collection, St. James's Auction #25, 5 March 2014 (83). Ex. George Collection, St. James's Auction #25, 5 March 2014 (86). Ex. George Collection, St. James's Auction #25, 5 March 2014 (92). Ex. George Collection, St. James's Auction #25, 5 March 2014 (105).